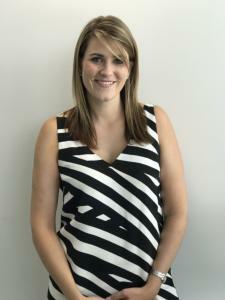 Kara is currently the Marketing Manager for Fisher & Paykel Australia across their portfolio of brands including Fisher & Paykel, Haier, DCS Grills & ELBA. Accountable for the development and implementation of the end to end marketing strategy in Fisher & Paykel’s largest market, Kara is also responsible for the activation + performance of the company’s first Experience Centre in Alexandriam, a game-changing platform designed to drive reappraisal for the Fisher & Paykel brand amongst key target segments. Developing an eye & a genuine love of appliances over 7 years, Kara has demonstrated her passion for the industry in working her way from Assistant Brand Manager into her current management position. leading a team of 9 highly skilled marketing professionals across brand management, trade marketing & customer experience. Fuelled by passion and a result oriented mentality, Kara is also a pivotal member of the Australian Leadership Team and Global Marketing Leadership Council contributing to both global & local strategic direction of the business. Prior to her affinity with appliances, Kara launched her marketing career as marketing assistant with internationally renowned cosmetic brand, Revlon working primarily on ALMAY cosmetics, Revlon Fragrances & Mitchum Deodorant. Imperative to achieving balance & supporting her growth both personally & professionally, Kara loves taking time out and trying new things, ie Extend Barre, committing to a half marathon & being more adventurous with food. But nothing beats the simple pleasures of spending time with family & friends over good coffee or chilled glass of oaky chardonnay.